Despite having a great office, a lot of the creative work that I do as part of, or related to, my job does not happen in the office. 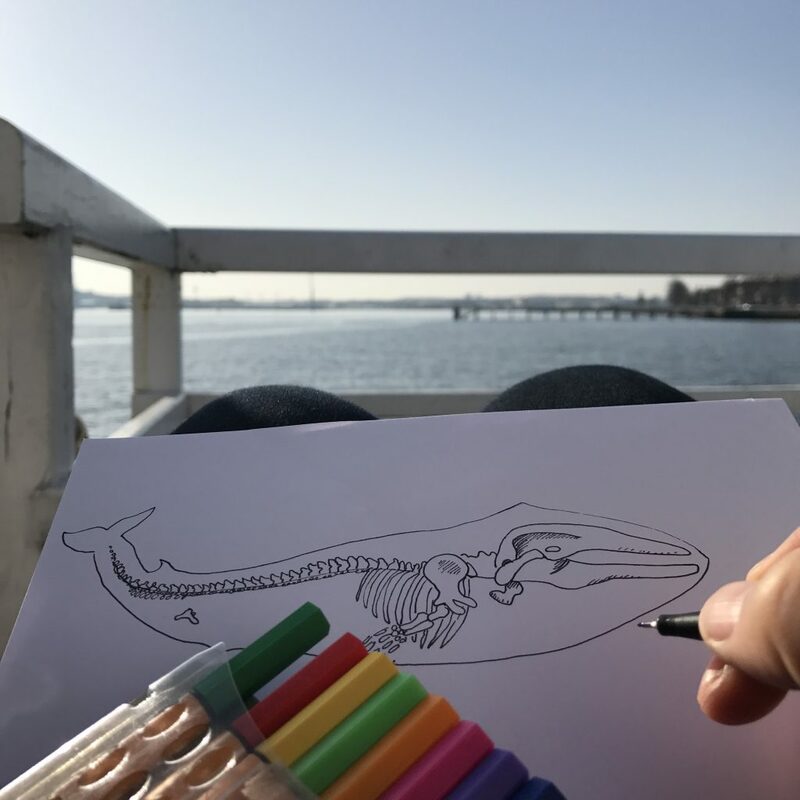 It’s not always “creative work” in the sense that I will draw, but I get a lot of quality thinking, idea generation and broad background reading done when relaxing at the sea. And I definitely enjoy “taking work home” in this sense! 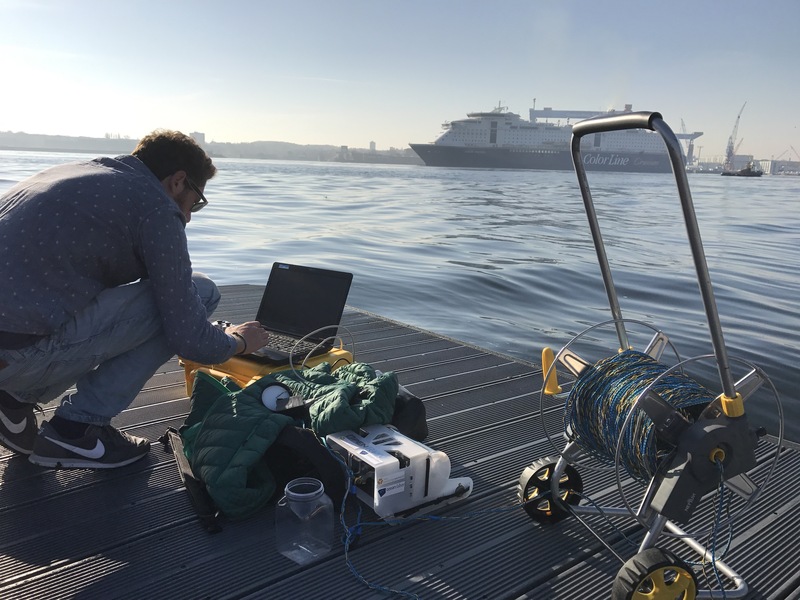 The picture below isn’t an impressionist painting (although I am fond of art, too), it represents something that I am really passionate about: Observing the world around you and discovering physics, and specifically physical oceanography, everywhere. 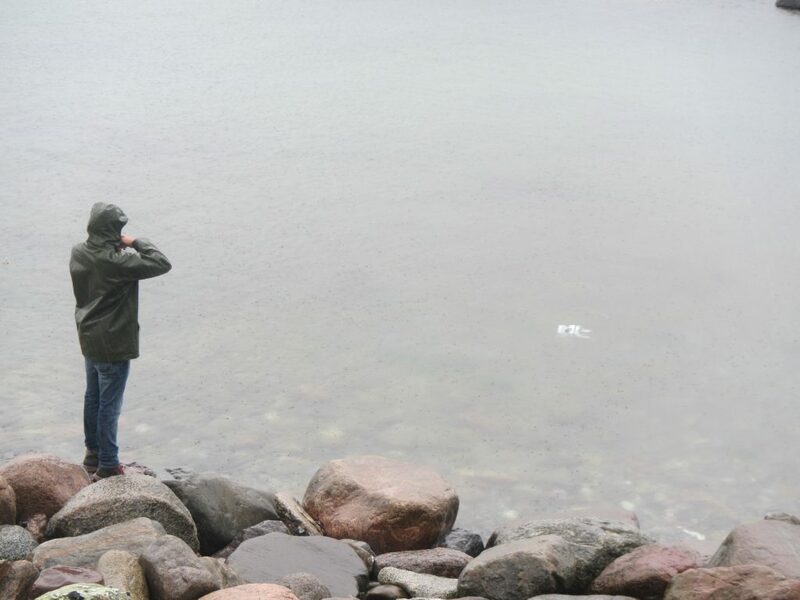 I can’t help seeing it, but I want other people to see it, too: In puddles or the sink, in rivers, lakes, the sea. 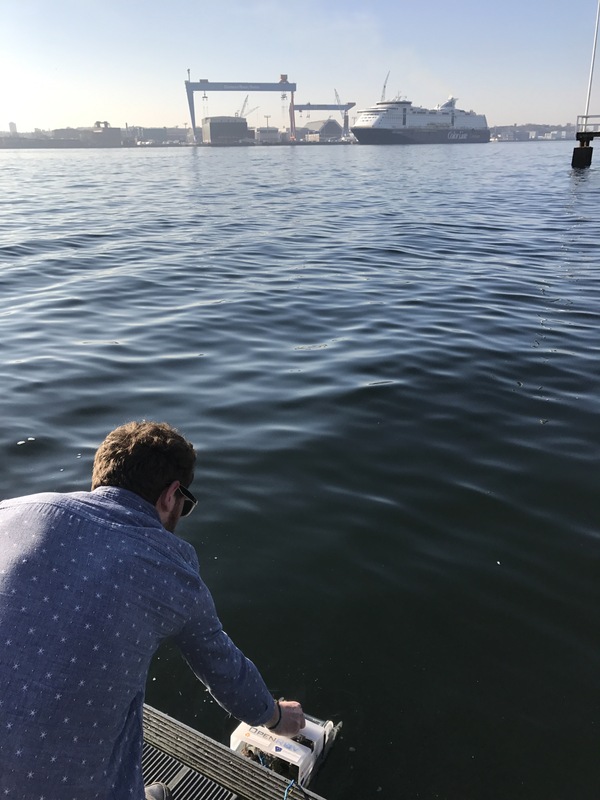 Here you see pollen on the surface of the Kiel fjord and you can use this to deduct something about waves over the last couple of hours as well as ocean currents from it! (How? 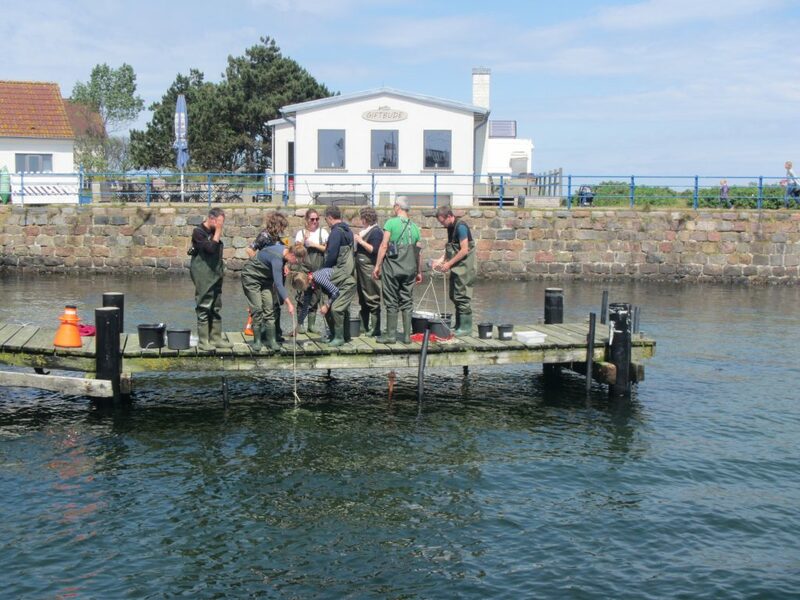 Check out the @fascinocean_kiel post on the topic). Being close to water is very important to me. 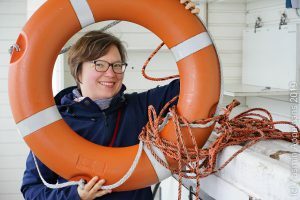 So much that I chose this selfie of me inside a “Strandkorb” over more formal portrait shots to illustrate an interview that I gave on Social Media Consultant Susanne Geu’s blog (link!) 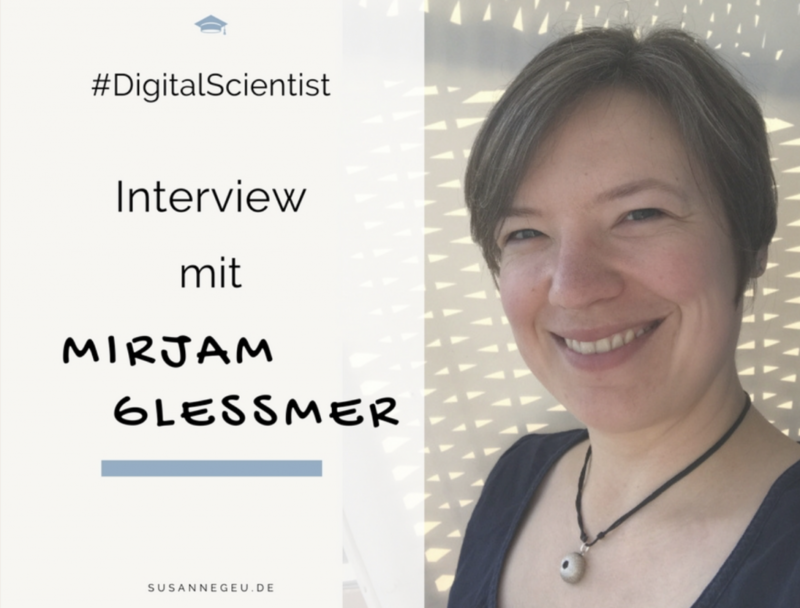 on being a #DigitalScientist. Since a large part of my job is related to using social media as a scientist, I was very excited about getting this opportunity to present myself! Also I really enjoy the opportunities that the web presents to communicate science in many different formats to many different people. The second big part of my work revolves around creating informal learning opportunities, and I love doing this collaboratively. 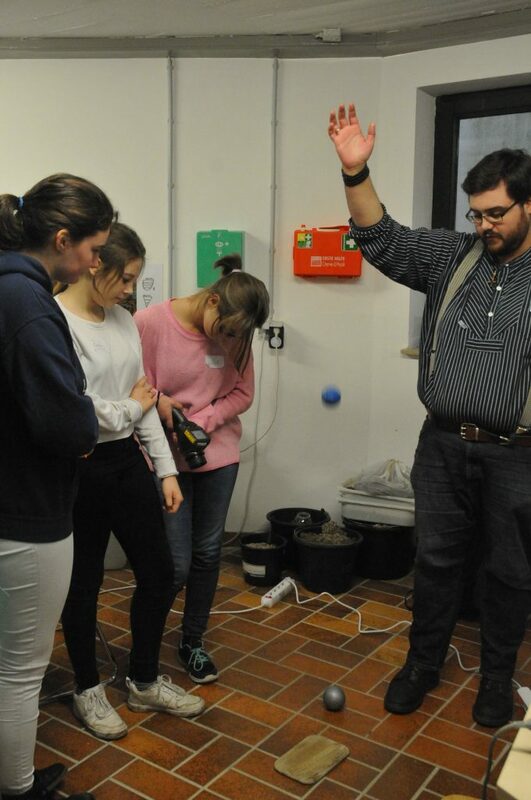 In the picture you see me and part of my team work on further improving the “energie:labor“, a school lab in which we have school classes visit us for a day to work on energy in the climate system with them. 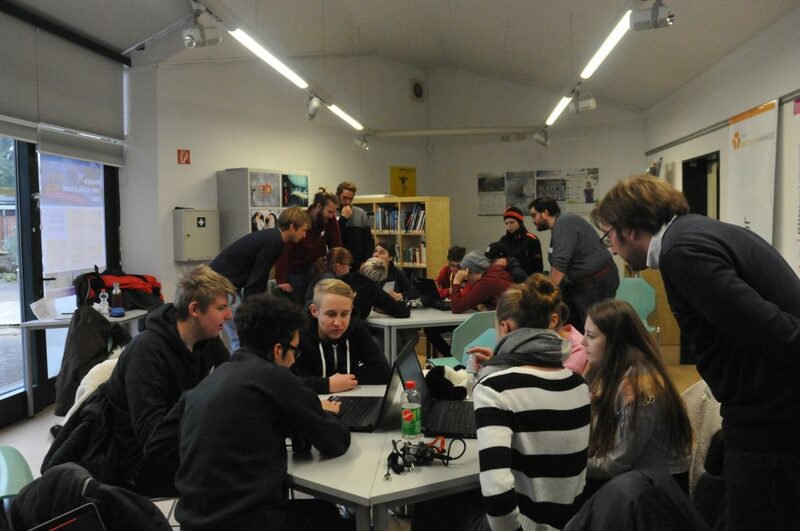 Here we brainstorm on how to better integrate all the different experiences the students make throughout the day in a final activity, and how to help them compile it into a take-home message that they will hopefully remember for a long time. 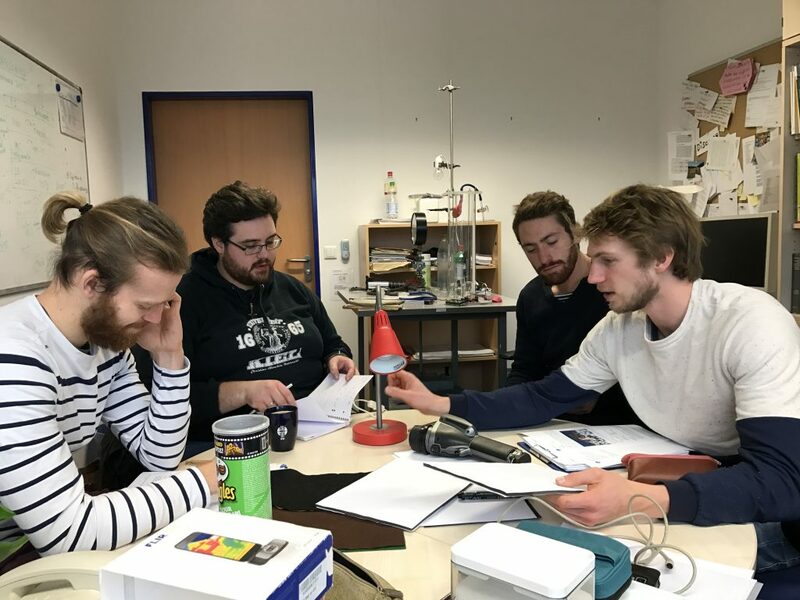 In the “energie:labor”, students conduct experiments with me and my team to investigate different aspects of the climate system. They spend about half the day becoming experts on five different aspects, before they then come together into teams to combine their expertise and use it to explain things going on in a simple climate model. 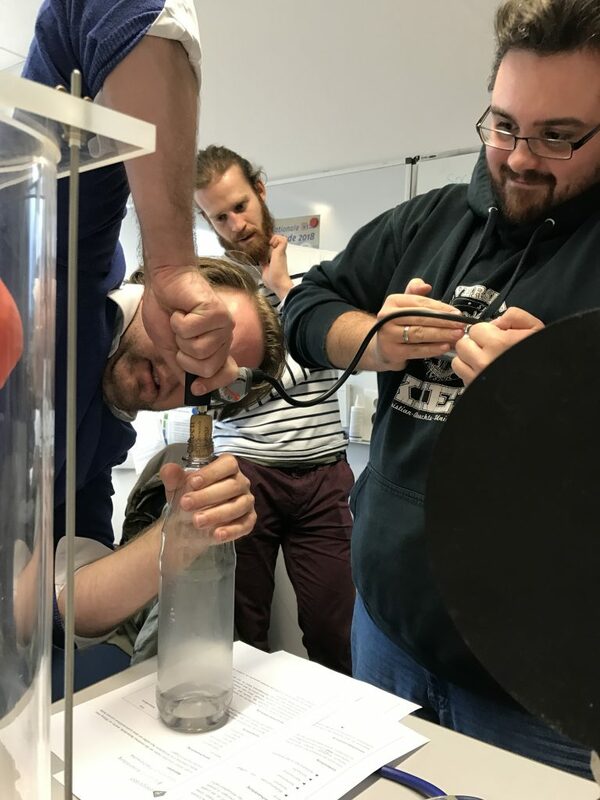 I really like how hands-on experiments complemented with the climate model give students an idea of how climate scientists work and where challenges might arise. 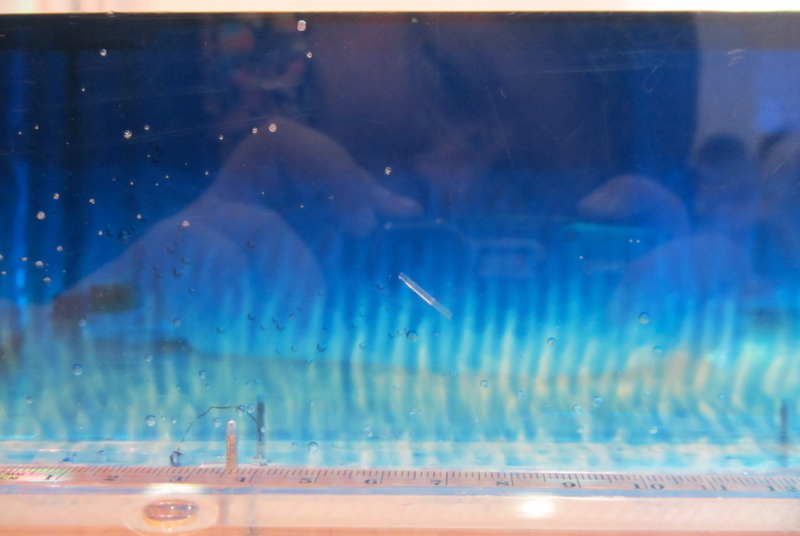 Even though I am trained as an ocean modeller, what I love best are tank experiments. 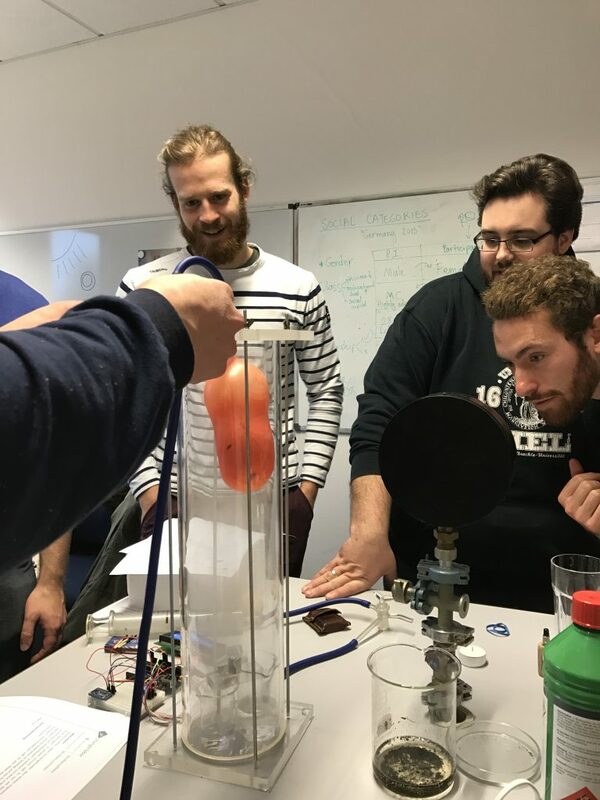 This is how I spend rainy weekends (or sunny ones, if there is something I really want to try) and I am trying to incorporate my expertise in how to use this kind of experiments in teaching in my day job. 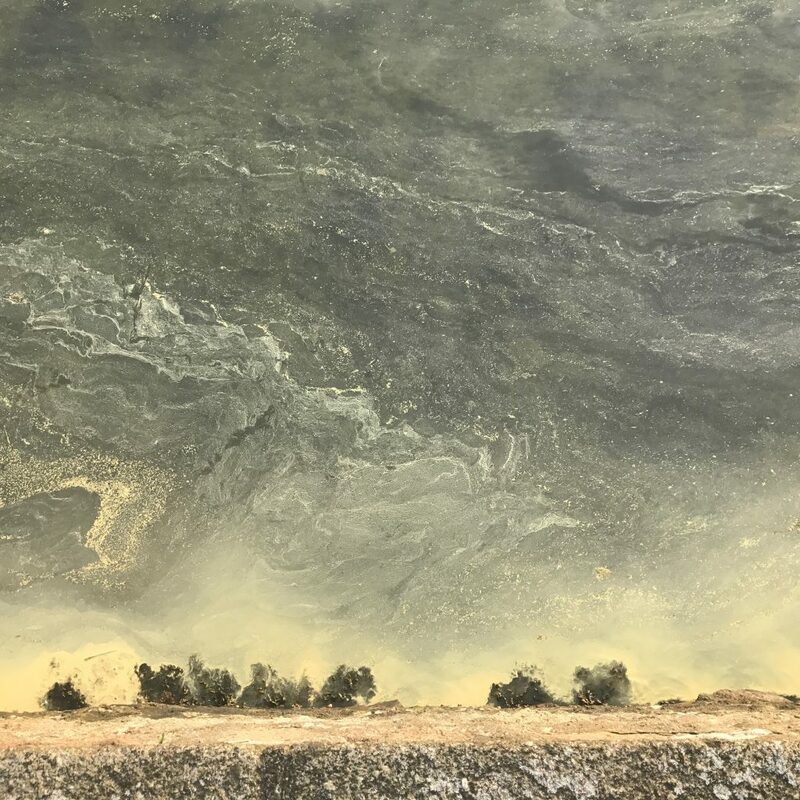 I just submitted an article on the process you see in the tank below, double-diffusive mixing. 10. And where are we going from here? Actually, I have no idea. 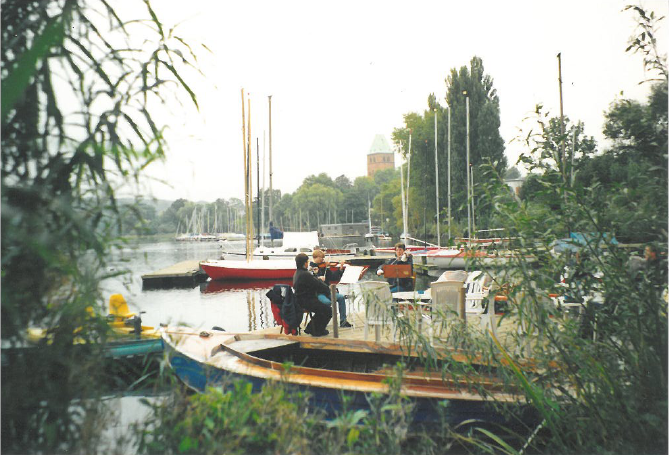 And as an example, below you see me and my sisters a loooong time ago, playing music at Ratzeburger Segelschule (where I used to work as sailing instructor for many years), to illustrate that there are things that have I have always been passionate about: Being in/on/near water. Doing creative things in one way or another. Working in a team. Leading. Instructing. Right now, all of this is combined in my job. Are there other ways these passions can be combined? For sure! For example when I finally fulfil my dream and live in my light house, from which I will watch the sea, create materials, run workshops, all related to oceanography scicomm. 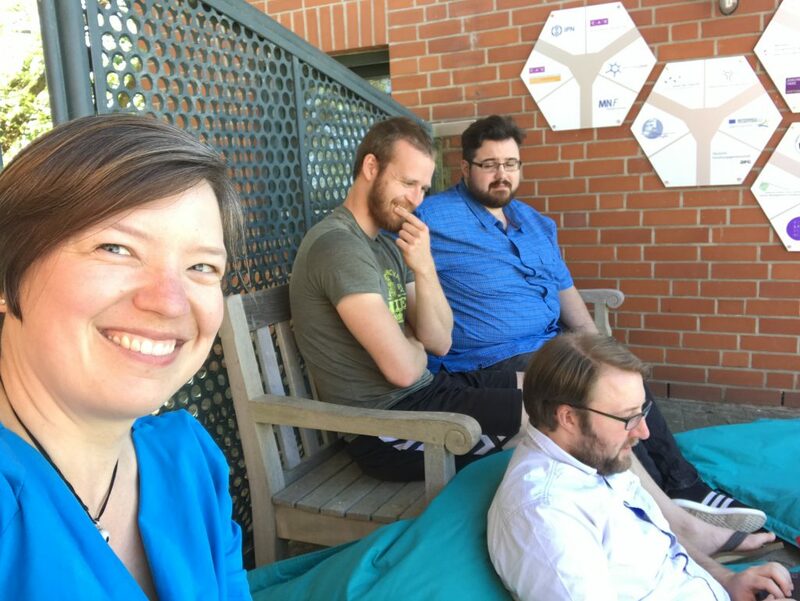 This entry was posted in #SciCommChall, energie:labor on May 10, 2018 by mglessmer. Next week we’ll be presenting out new lab on energy in the climate system (read more about it here) at a conference. 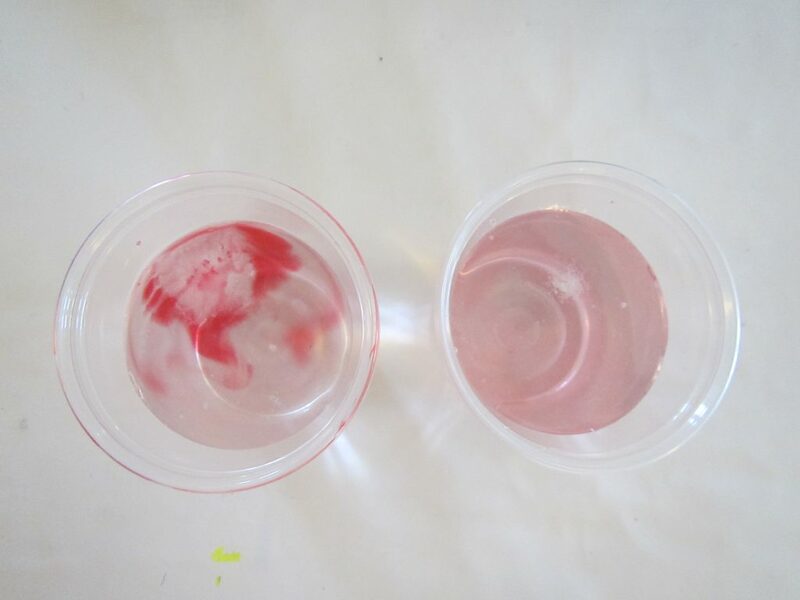 The main focus is on actually presenting and conducting the experiments and showing and discussing the materials we developed, but I put together two posters to put up in some corner, to have something to point at while giving a brief overview over the concept and the experiments. If you are curious, here they are (unfortunately in german, but give me a shout if you would like a translation of something!). 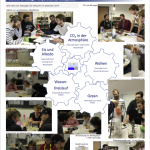 Poster 1 is about the general concept and the three phases of the lab: The overarching question, the experimental phase, and the expert puzzle which we use together with the MSCM model (more about that here) to bring the experts to a common understanding of the system. 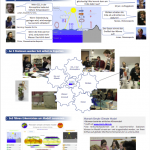 Poster 2 is just a bunch of pictures of individual experiments that are being done at the different stations. And I realized I urgently need better pictures for the next conference! Especially pictures with kids on them and not my team. So here we go! That’s what I’ve been up to recently. This entry was posted in energie:labor on March 9, 2018 by mglessmer. 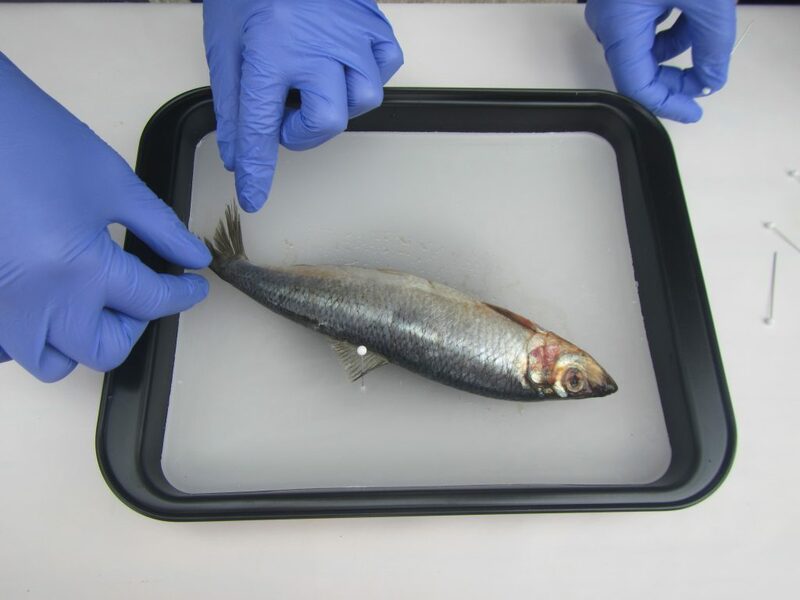 At first, I wanted to call this blog post “behind the scenes of a school lab” until I looked through the pictures and realized that all I am showing is people sitting around my desk in my office! 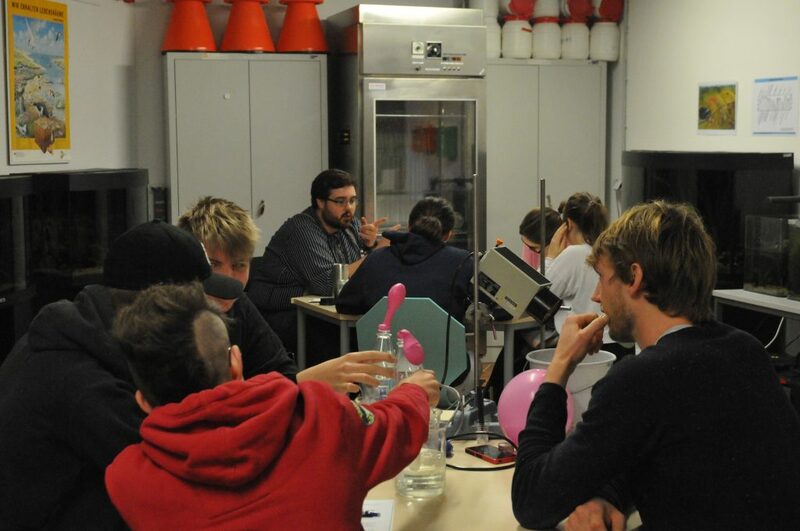 Actually, not only sitting — test-running all the experiments for our energie:labor! First, here is Julian’s experiment on atmospheric CO2. 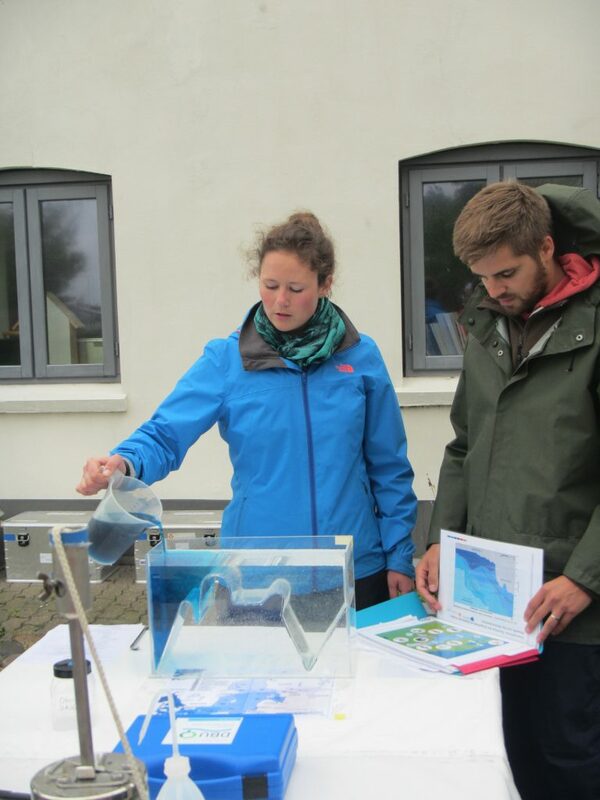 And here an experiment from Jonas’ station on the role of the ocean in the climate system. A candle below an air-filled balloon. Can you imagine what will happen next? Sorry about the jump in perspective — even though I knew what would happen I clearly didn’t expect it enough to hold the camera stable. Small consolidation that everybody else clearly jumped, too? 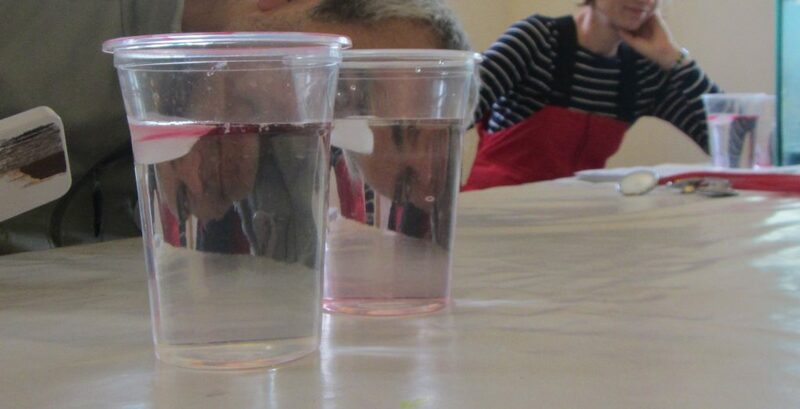 Anyway, the point of that experiment is to look at the heat capacity of air and water. I’ve written about this before, see here (where we also have pictures of bursting the water-filled balloon because this is how we roll. But only in the lecture theatre, not in my office… ;-)). 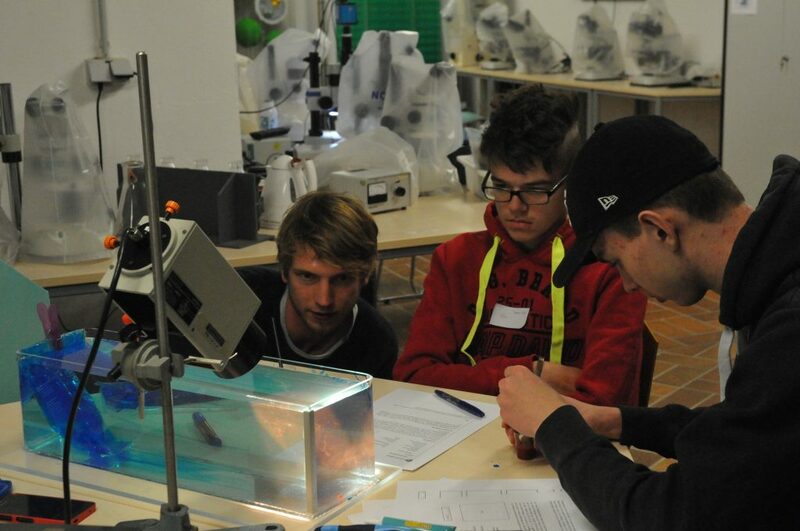 Below, we are looking at Jonas’ overturning experiment, apparently discussing the work sheets. 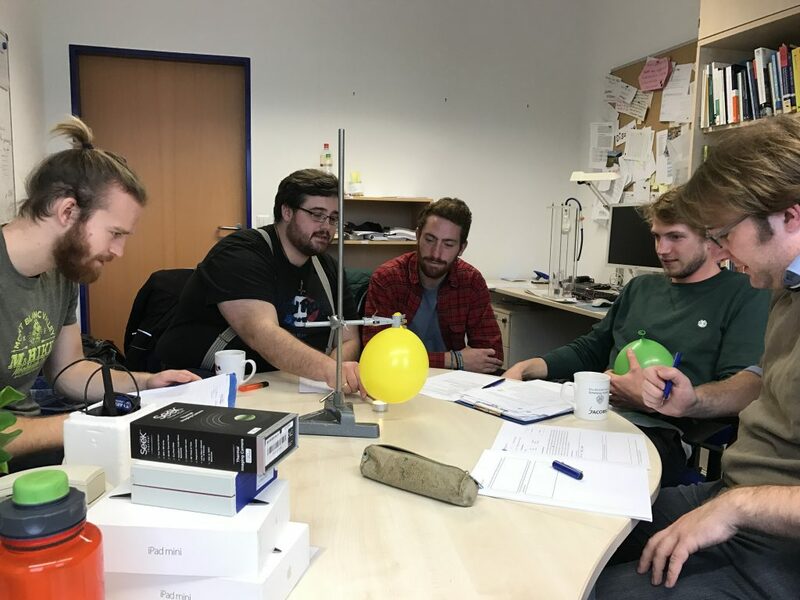 It’s really great how well this team works together on developing all their materials, even though their personal styles span the whole spectrum of teaching styles! In the picture below, taken on the second day of our dry run a couple of days later, we are looking at Henning’s station on the ice-albedo-feedback. As Henning is sitting next to me and we are sitting around my desk, he’s unfortunately not even in the picture! 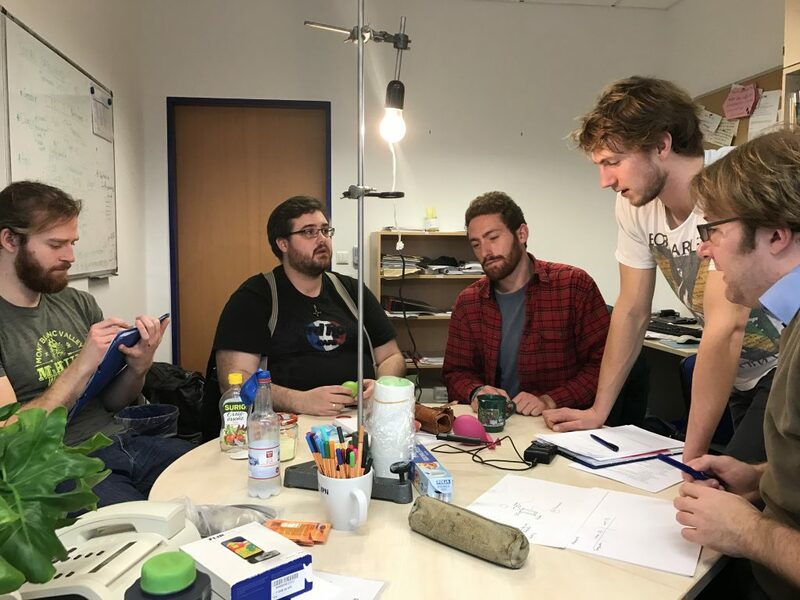 What the guys are doing on the picture below? 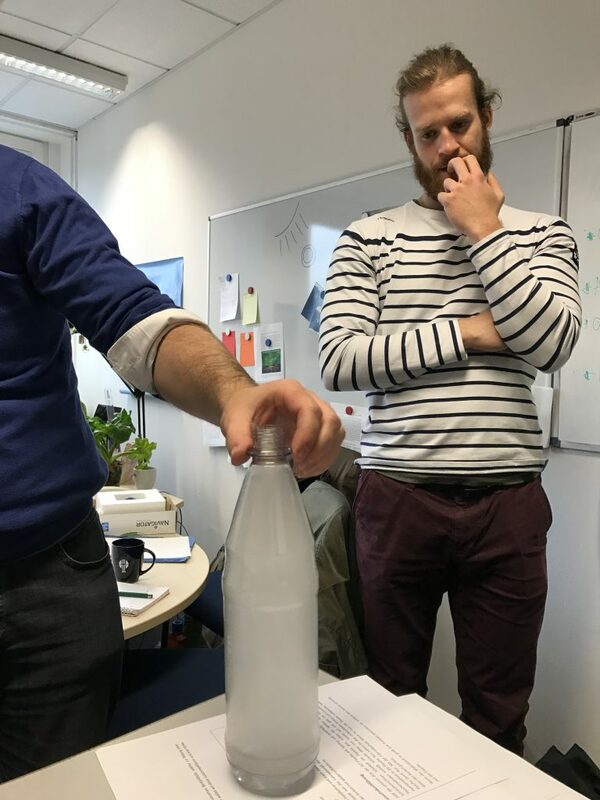 Using a bike pump to increase the pressure inside that bottle to make a cloud in a bottle. And then, there comes the most sophisticated piece of equipment of the whole lab: Nicolas’ cloud chamber. I’ll only tell you this much for now: It’s awesome! And you should stay tuned for an upcoming publication on how to build it and how to use it in teaching. Because it’s that great! 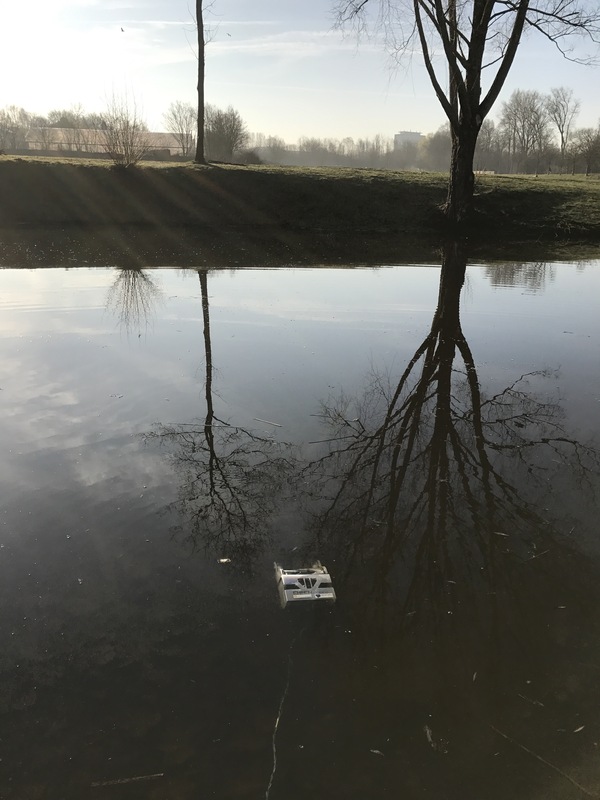 This entry was posted in demonstration (easy), energie:labor, hands-on activity (easy) and tagged energie:labor, KiFo on December 15, 2017 by mglessmer. 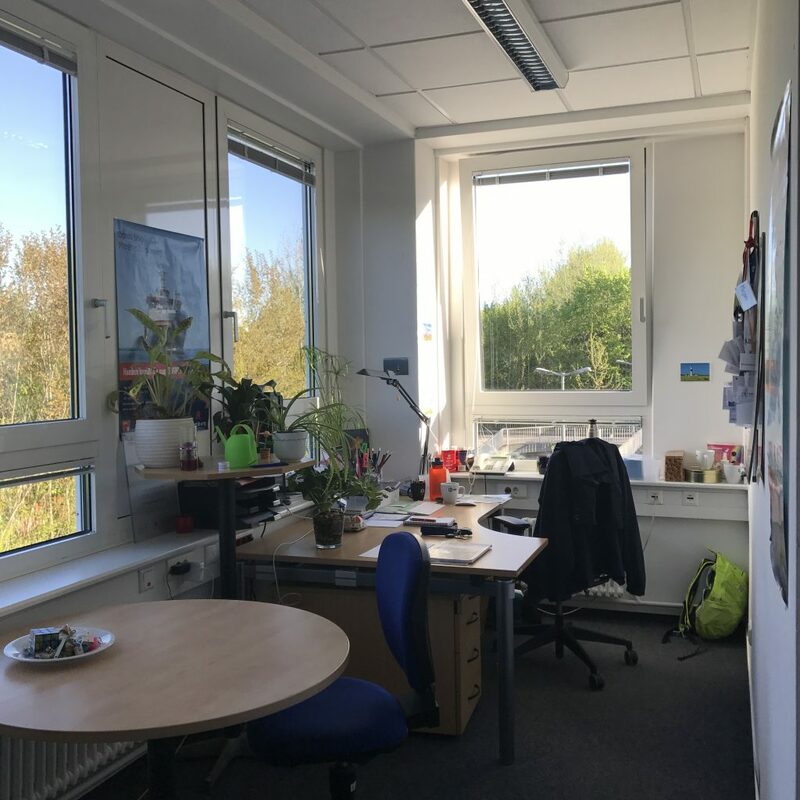 Today was a very exciting day: We launched my new school lab on energy in the climate system! 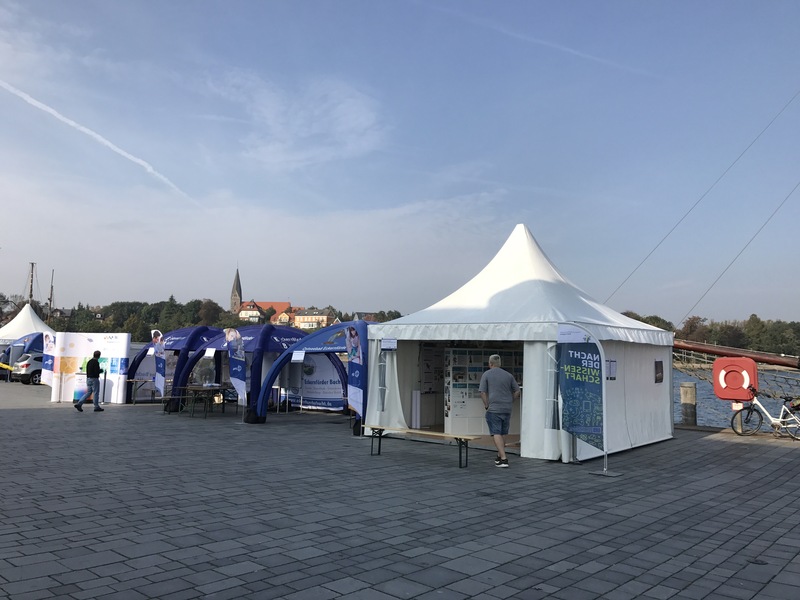 The “energie:labor” is finally up and running again! Let me walk you through some of the stuff that is going on in the lab. 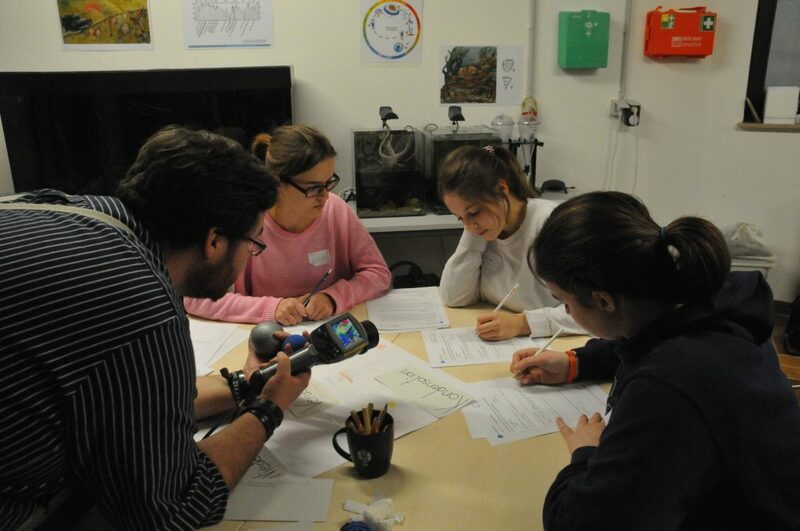 Below, you see Mirko, who leads the station on the hydrological cycle, and his group working on an experiment. In the left jar, you see how much smoke a burning piece of paper makes. 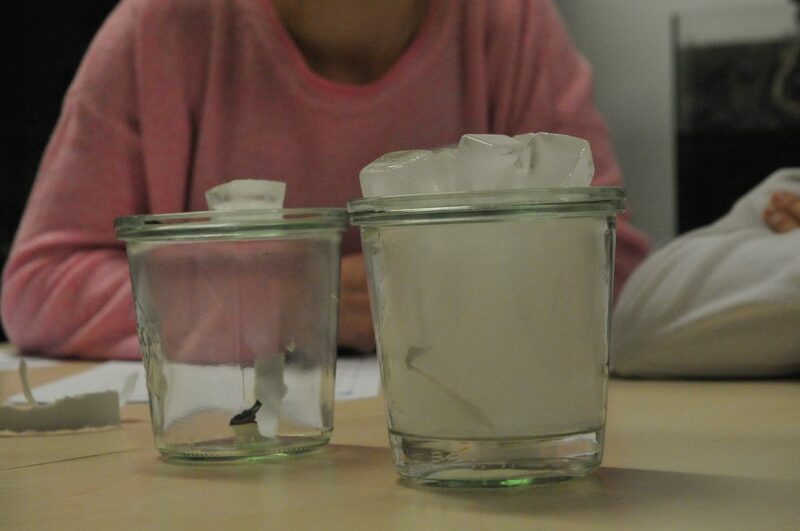 The students tried this in order to compare it with the jar on the right. Because what they see in there is not just smoke from a burning piece of paper, it’s steam from the hot water at the bottom of the jar — a cloud in the jar! And the burning paper was just added to provide aerosols as condensation nuclei for the clouds. 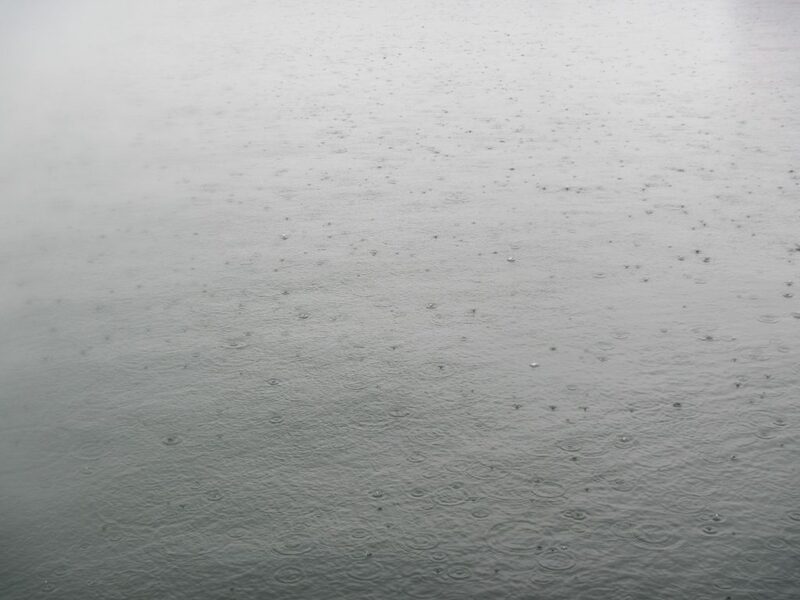 Another part of the energy puzzle of the hydrological cycle: How much do raindrops falling down on the ground actually heat up the ground? The students are looking at the wooden board on the floor, using a thermal imaging camera. They won’t see a lot when the bouncing ball hits, but they saw a clear signal with the heavy metal ball they used earlier! 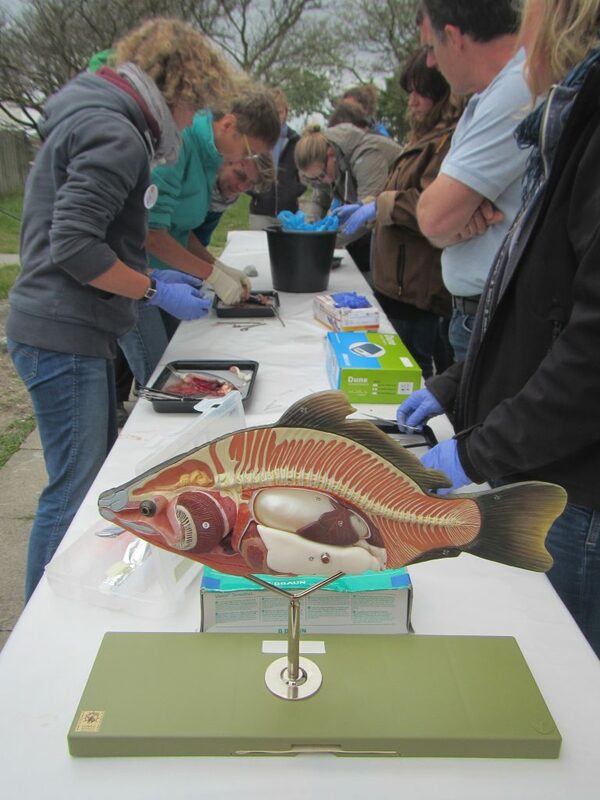 Kinda like what we did at the European Researcher’s Night (see here). Now, they are documenting their observations. 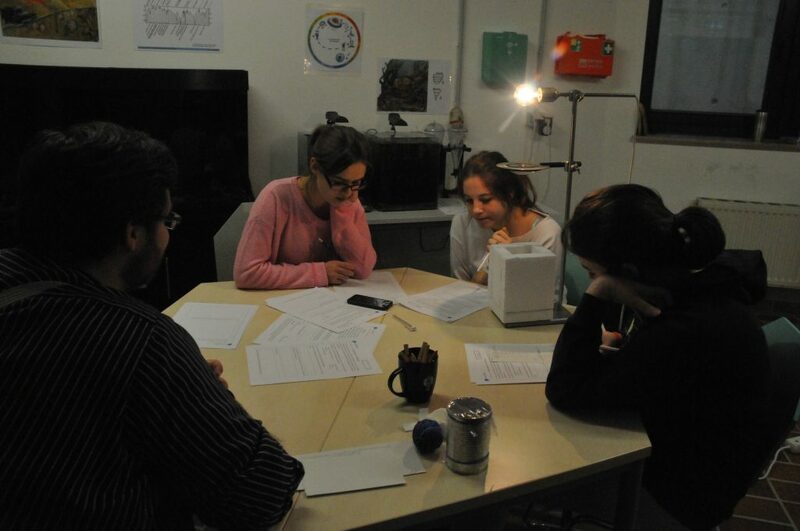 And later, they are running an experiment looking at how much moist vs dry air heats up in that insulated container below the lamp to explore the greenhouse effect of water vapour. 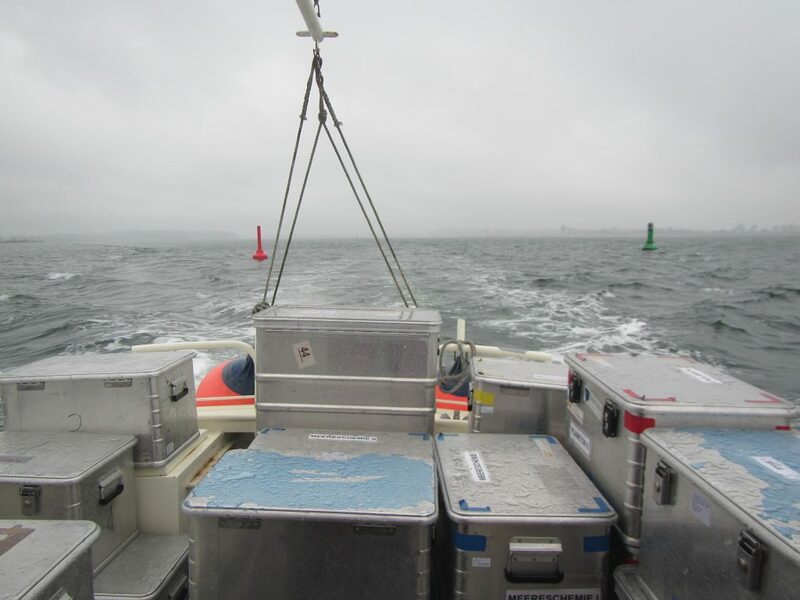 The setup of this experiment was developed by Julian who is leading a different station on CO2 in the atmosphere, but sadly I don’t have any good pictures of that station! On the table next to the hydrological cycle team, there is Jonas, working on the role of the ocean in the climate system. 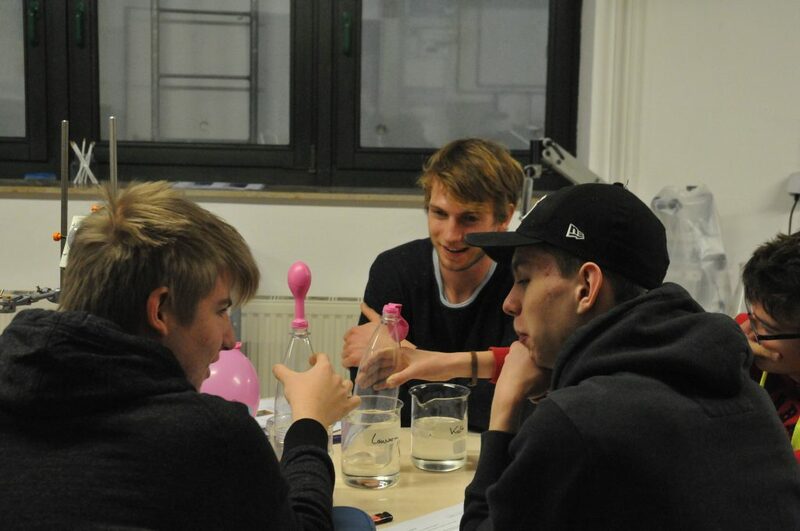 Below, the students are dunking air-filled bottles into hot and cold water baths to watch how air expands and contracts depending on its temperature. They seem to be having fun! They are using a very strong lamp to model the heating by the sun near the equator, and cold packs to cool near the poles. And they seemed to enjoy playing with food dye! 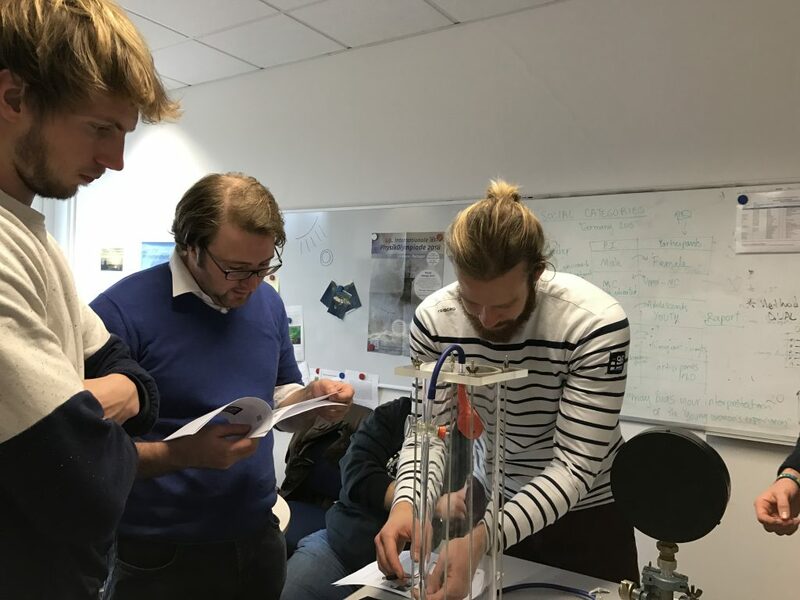 We have two more stations (or three, including the CO2 station I mentioned above), one on clouds run by Nicolas, and one on ice-albedo-feeback run by Henning. Unfortunately I don’t have good pictures of those, either, but I will post pictures of our trial run soon, where they’ll be featured, too. 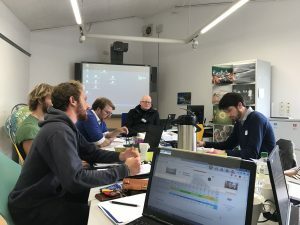 Let’s close this by looking at how we brought all our new experts back together (because each group only conducted one station, for which they had almost all morning) — by using the Monash Simple Climate Model! I’ve written before about how great it is in teaching (see here), and I am still a big fan! 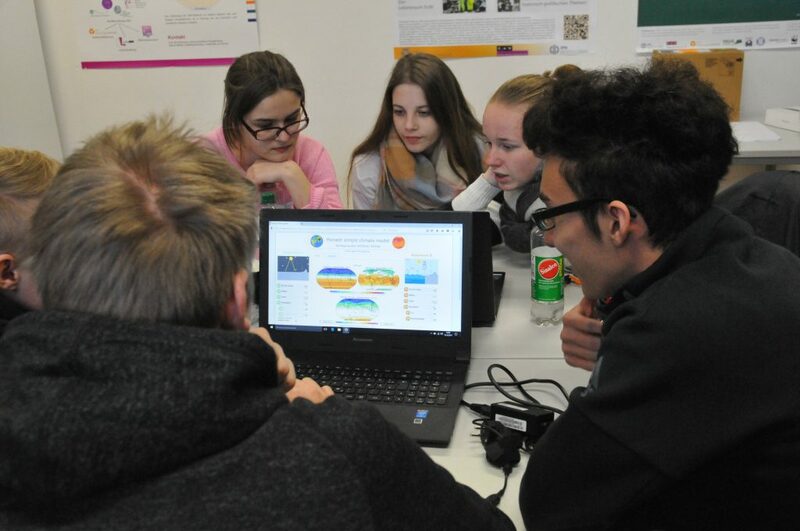 The new “experts” on clouds, the ocean, the hydrological cycle, atmospheric CO2 and ice-albedo feedbacks explained their topics to the rest of their groups. And — surprisingly enough — in the model, you can switch on and off each of these processes individually and see what effect it has on climate! But all in all, I am very happy with how the launch went, and I am super grateful to my great team! Thanks, Jonas, Julian, Nicolas, Mirko, and Henning (from the left in the picture above)! Hope you are enjoying your well-deserved weekend! And last not least: Thank you, Frank, for letting us borrow your pupils! They were the nicest group we could have hoped for! “Ready? Set! Aaaaand go!” was the command given at the start of a thumb wrestling war. 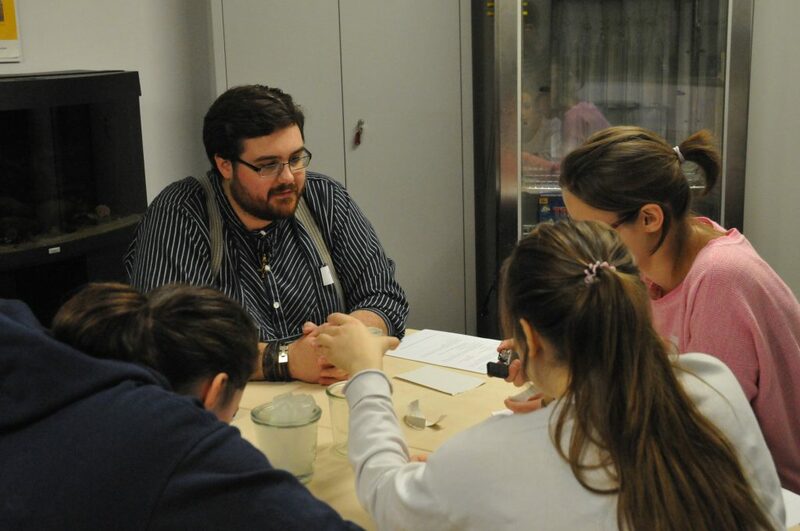 In every pair of workshop participants, thumbs were being twisted, squeezed, freed again. We were given only 30 seconds to win! And then the time was over. “Who got how many points? Anybody more than 10?”. Nope. Most people only had about three. Which, turns out, was because none of us had listened to the instructions given in the beginning: We had been told to play thumb wrestling, but with the instruction to make as many points as possible. NOT to win against the person we were playing with. So the best strategy would have been to just very quickly tap on the other person’s thumb, maybe taking turns, but definitely not to twist, wriggle, squeeze and waste time fighting! Ooooops. This is how our very busy — but also very exciting — phase at the energie:labor continued. 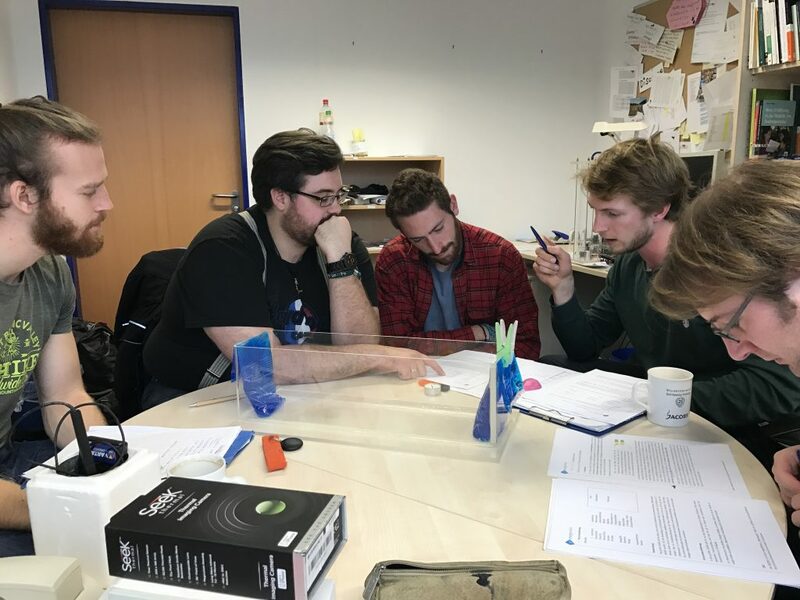 Yesterday, we hosted Klaus Masch, creator of the simulation game “Offshore” (all of the materials for this game are online here), who gave a workshop on the theory behind simulation games and how to implement them in teaching. And since we learn best by doing and then reflecting about it (the equation for this, we learned, is DExR=L, which I remember without looking at my notes, which are on my desk at work while I am home on my sofa. DE being Direct Experience, R reflection, and L learning. And since learning is the product of DE and R, both have to be bigger than zero for learning to occur… (Or, technically, unequal to zero and of the same sign, but maybe the both-negative case doesn’t apply here ;-)) See, it left quite an impression! ), we got to play the simulation game ourselves. Now. Everybody who knows me in person knows I HATE playing any kind of games. Hate it with a passion. 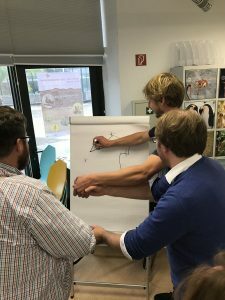 But since I had read so much about the benefits of simulation games in teaching, I really wanted to try it in order to get a better idea on whether I should get over myself and offer one as part of energie:labor. And I have to say, I am a convert. 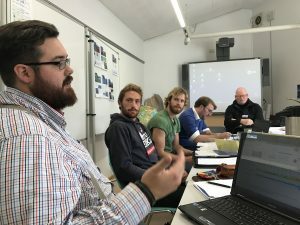 In Offshore, students discuss the possible investment of their city into an offshore wind park as reaction to the political decision to quit nuclear power all throughout Germany. They research and adopt the roles of different stakeholders (the mayor, the city council, an investment banking firm, the people building the wind park, scientists, environmental groups) and debate risks and benefits. For us, that meant starting research before lunch, already in our roles, staying in the roles over our lunch breaks (which included lots of negotiations and bilateral conversations already! ), doing some more research after, and then, finally, debating in the official debate. 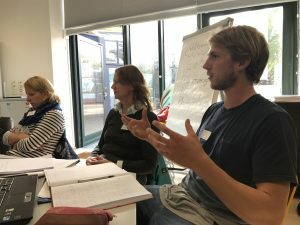 I got to play a double role: A student at the Institute of Applied Marine Science who is also active in the environmental group Save the Ocean. In a way, that role was probably the easiest of all: I had clear instructions that I was definitely against the project, so I could just be against everything but didn’t have to offer alternatives. 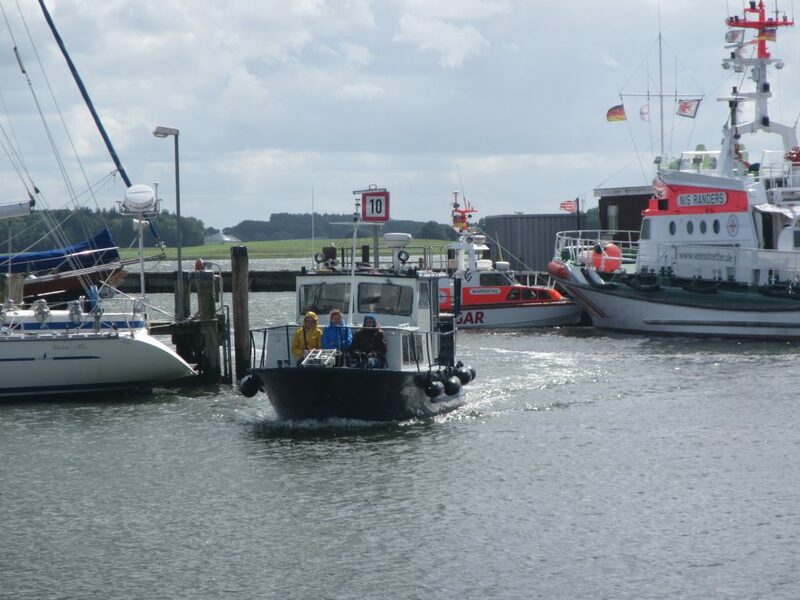 All other roles had more balanced roles: Of course the investment people wanted to make as much money as possible from the project, but the role of my boss, for example, a professor in Applied Marine Sciences, was instructed to consider marine protection, but there was still room to interpret that in different ways. Since Offshore is a frame game, it is quite easily adapted to different situations. One of our participants, for example, could only join after lunch. So a new role, the journalist, was invented for him and he was included in our simulation right away. Participants in the workshop were all related to the energie:labor or KiFo in some way: Either having previously worked there, or currently working there with student projects or Master theses, or a visiting friend from the University of Applied Sciences who is involved in running their own energy lab that we cooperate with. 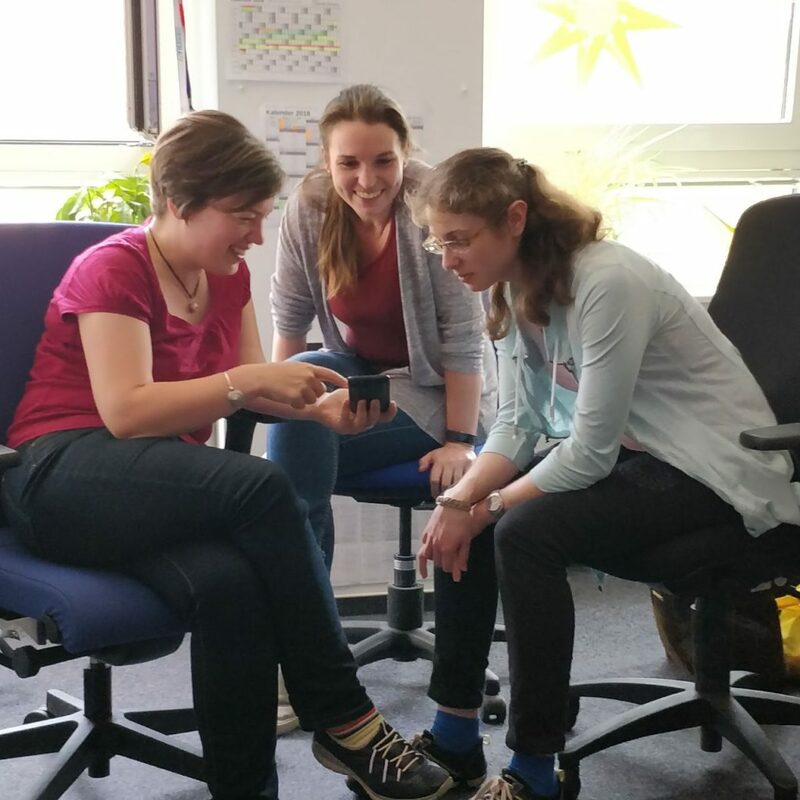 That was great for me: Now future discussions on whether and how to use a simulation game for the energie:labor can refer to this common experience of playing together for a day, and getting so many useful tips and tricks along the way! There were also so many useful micro teaching things going on that we can pick and choose from in other contexts, too. 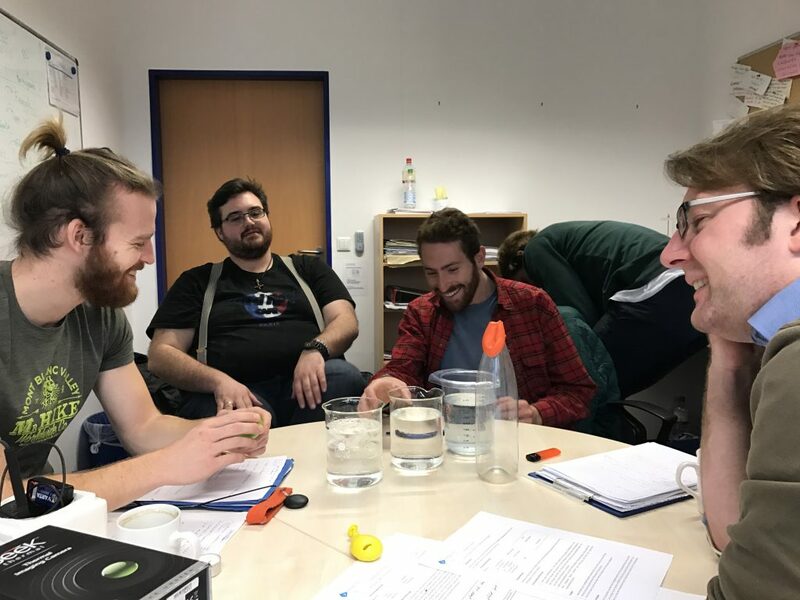 Below, for example, you see three participants holding hands: The one drawing on the flip chart has his eyes closed, while both others have their eyes open. And the left person has to guide the pen — through the other two! This, of course, causes a time lag between a signal going out and resulting in something on the paper, which sometimes makes it difficult to navigate the pen. Which is a great simulation of any complex system with a time lagged response: Any action you take doesn’t have visible effects right away, so it’s easy to over-correct and cause a mess just by being to fast in responding on the changes you (don’t) see that were caused by previous actions. To get back to the thumb-wrestling in the beginning: That micro simulation game is one I, or any of the other participants, for that matter, will never forget. It was a very bold and impressive reminder that collaboration should be the first impulse rather than assuming that every situation, every game is about playing against someone. Maybe that’s what won me over to playing? This entry was posted in energie:labor and tagged energie:labor, energy, simulation games on October 3, 2017 by mglessmer. 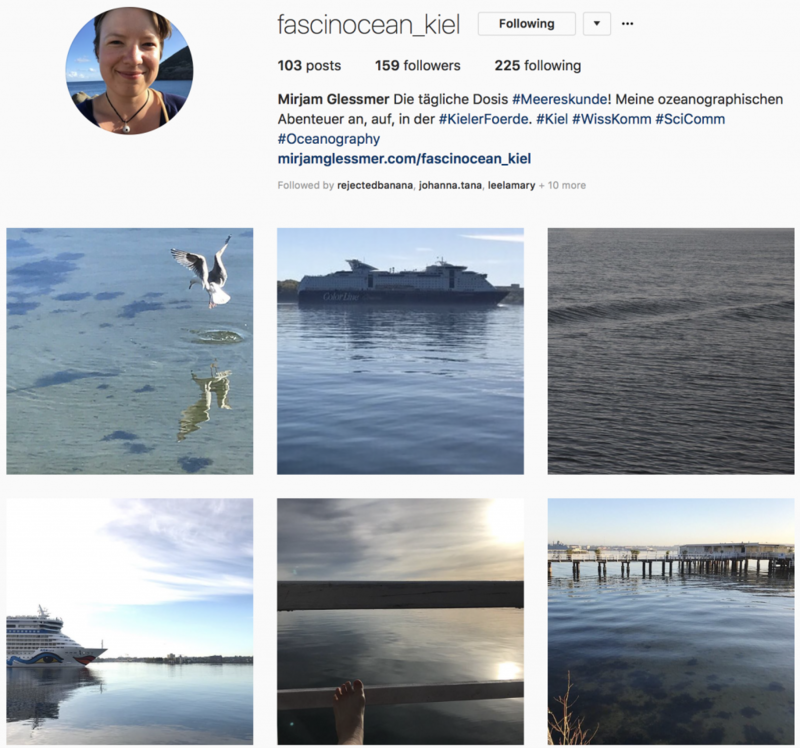 Yesterday Alice and I spent the afternoon and evening in the cute coastal town of Eckernförde, enjoying the summer-y weather, the Baltic Sea, and — of course! 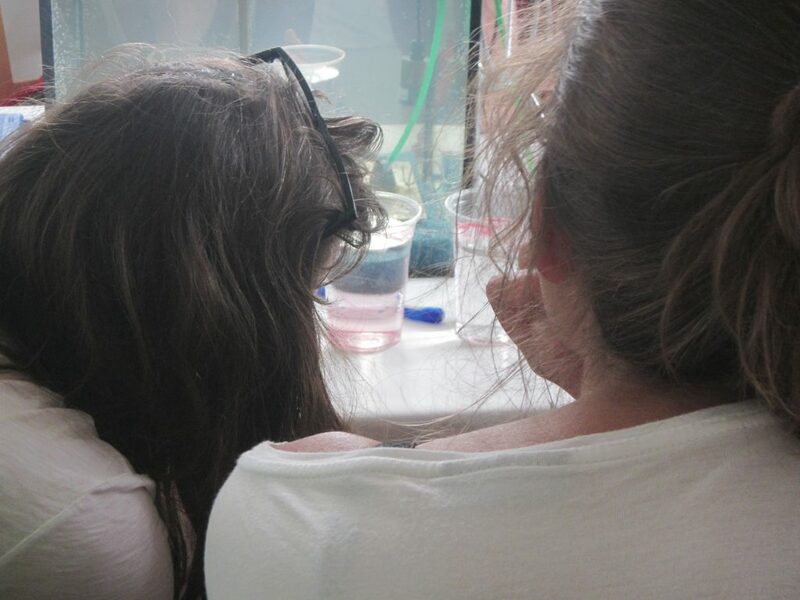 — the science outreach. It was European Researchers’ Night! 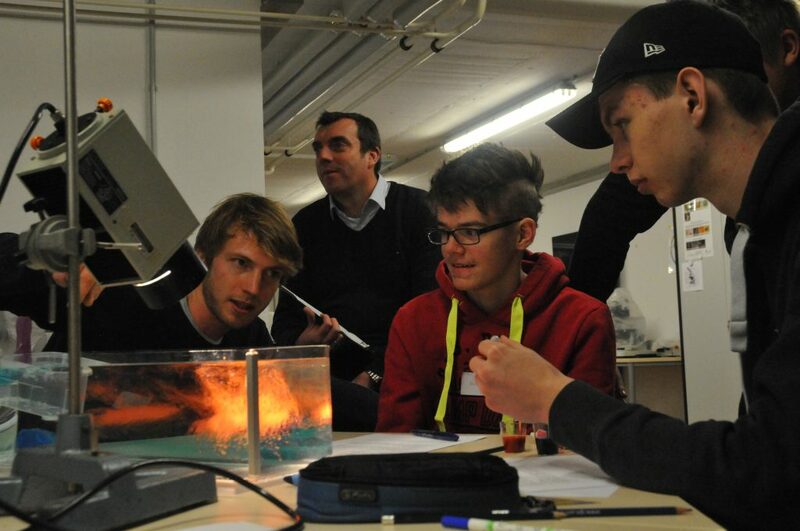 The goal was to engage the public in thinking about physics, particularly about energy. 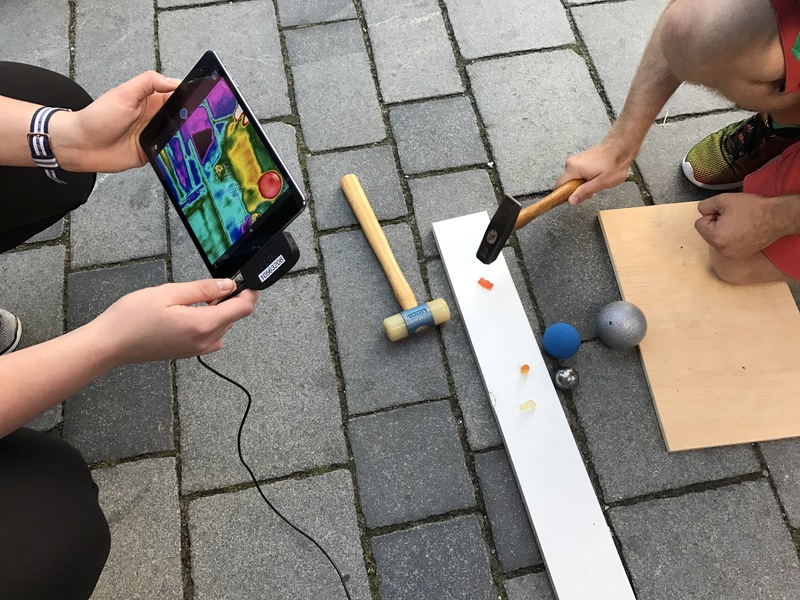 What better tool to use than a thermal imaging camera? I’ve talked about the many ways you can play with that sort of camera before (see here), but last night was special. 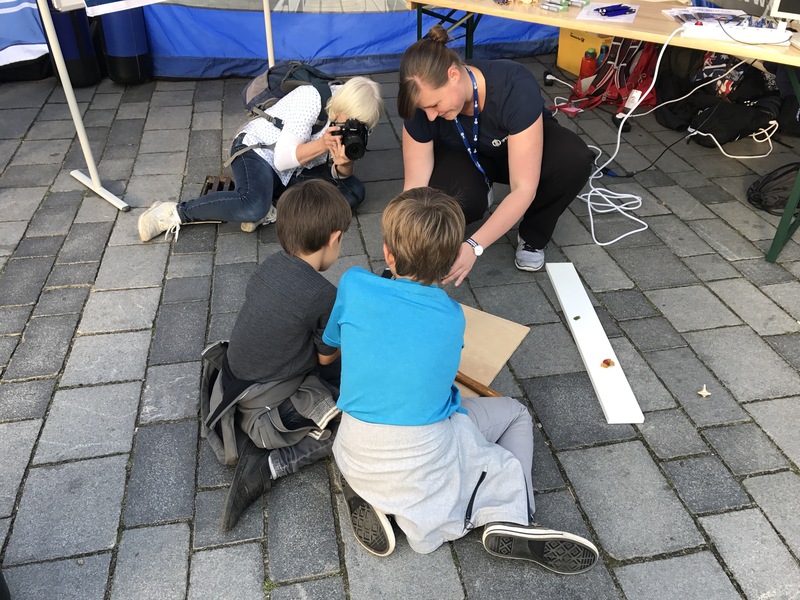 To catch people’s eyes and engage children as well as grown-ups, we had prepared a couple of fun experiments, for example hitting gummi bears with a hammer and observing how that changes the temperature. 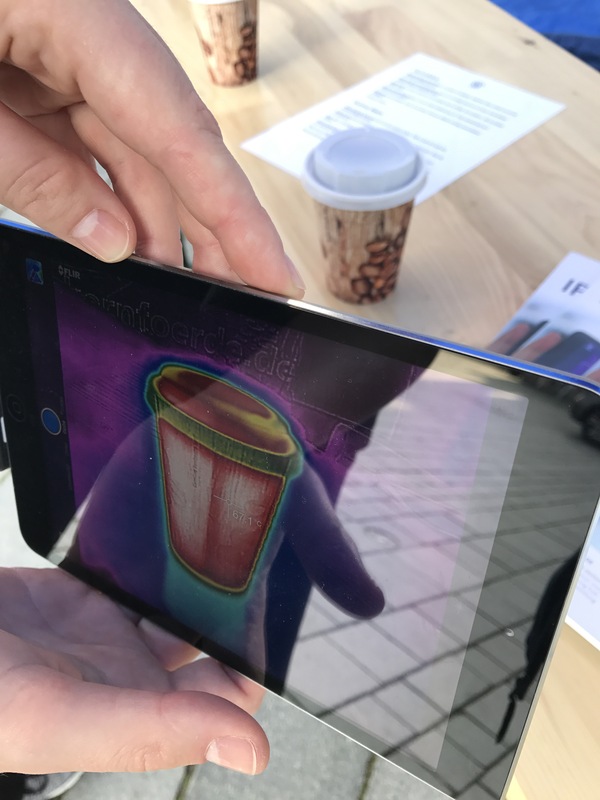 This entry was posted in energie:labor and tagged #SciCommChall, Eckernförde, energie:labor, energy, ERN, European Researchers' Night, thermal imaging camera on September 30, 2017 by mglessmer. 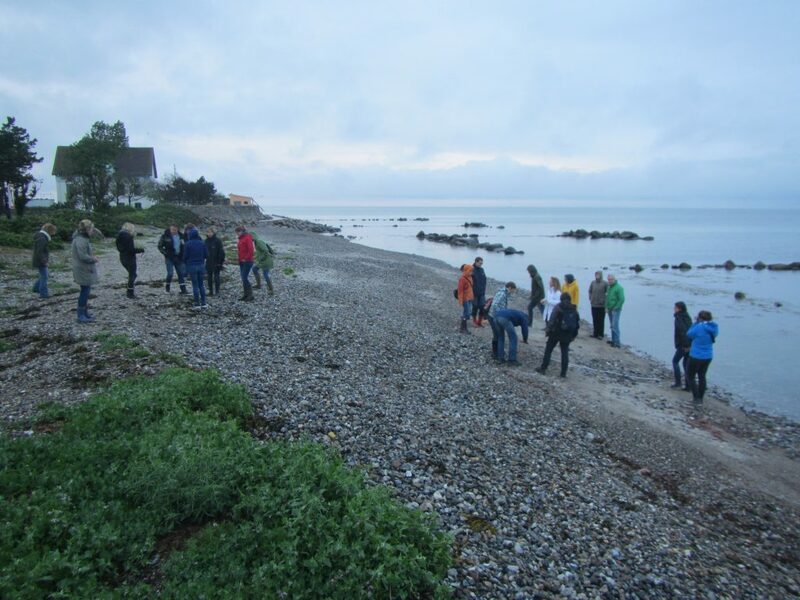 As I mentioned yesterday, I recently contributed to a teacher training on Lotseninsel, a tiny island on the Baltic Sea coast. 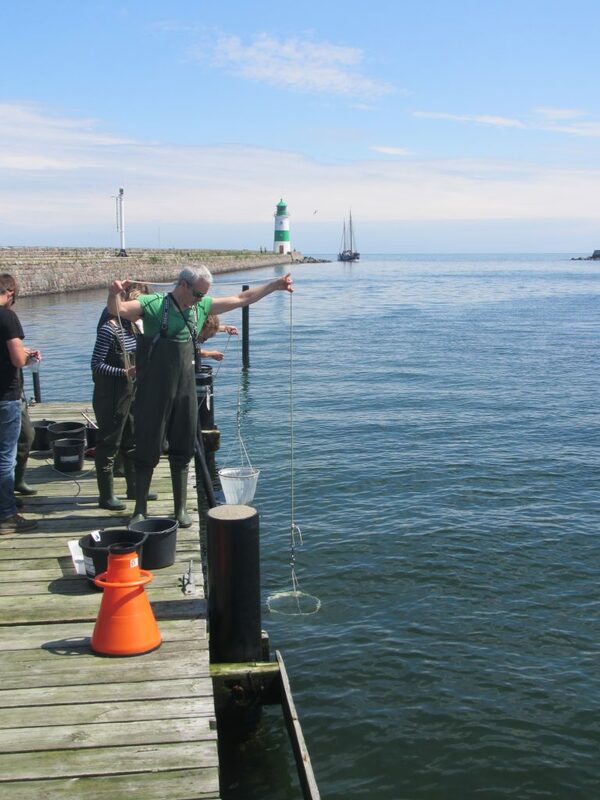 The training was run by the Ozean:Labor of the Kieler Forschungswerkstatt, and we spent Friday to Sunday there. I’m going to show you some impressions of that weekend here. 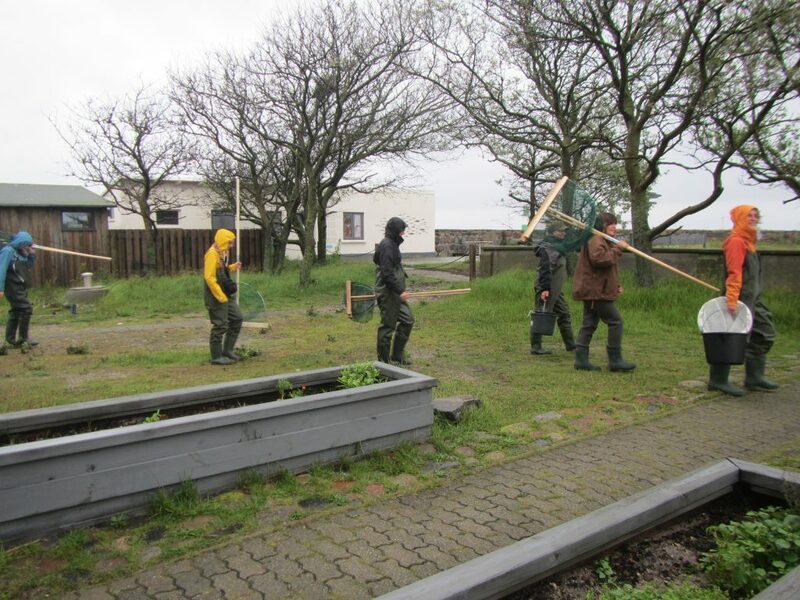 We had to pack A LOT of equipment on a small boat in pouring rain to bring everything over to the island. 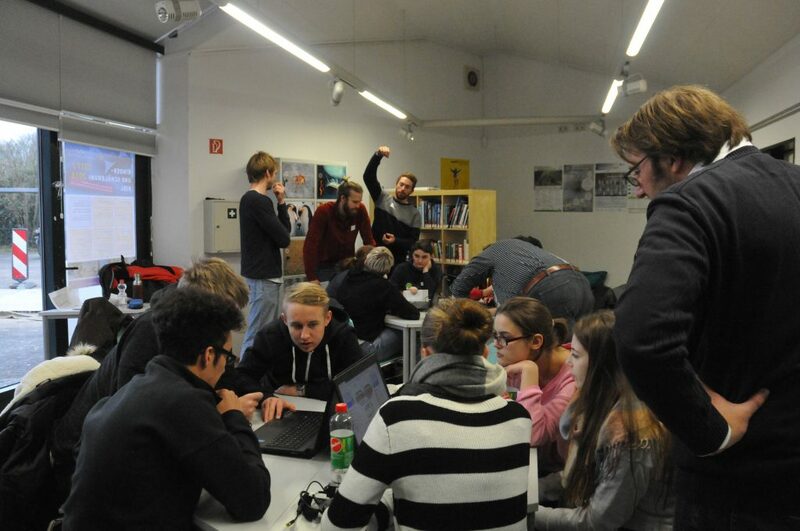 In the evening, when all the teachers had arrived, we started with the workshops and continued until late in the night. Below you see two groups of teachers working on 3×3 m stretches of the beach, collecting plastic to map the pollution of the beach. 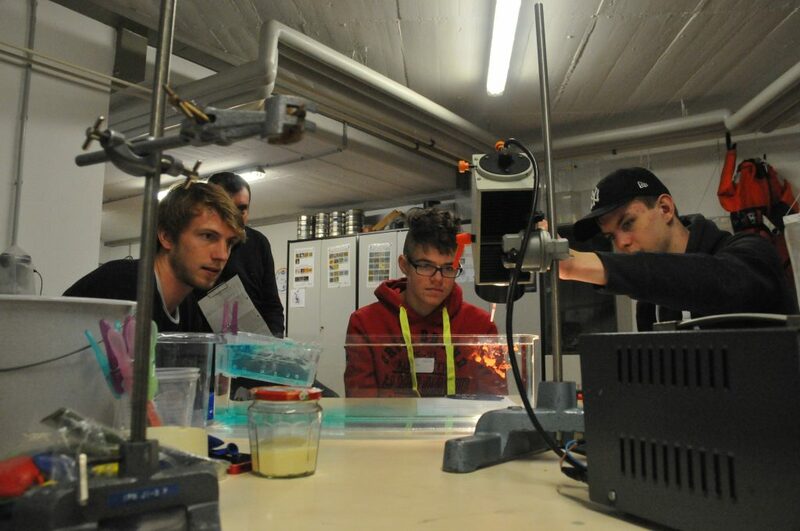 Obviously we had to do the melting ice cube experiment in a workshop on ocean physics! And again, the second time that same workshop was run in the afternoon for the second group of teachers. Amazing how quickly the weather changed! 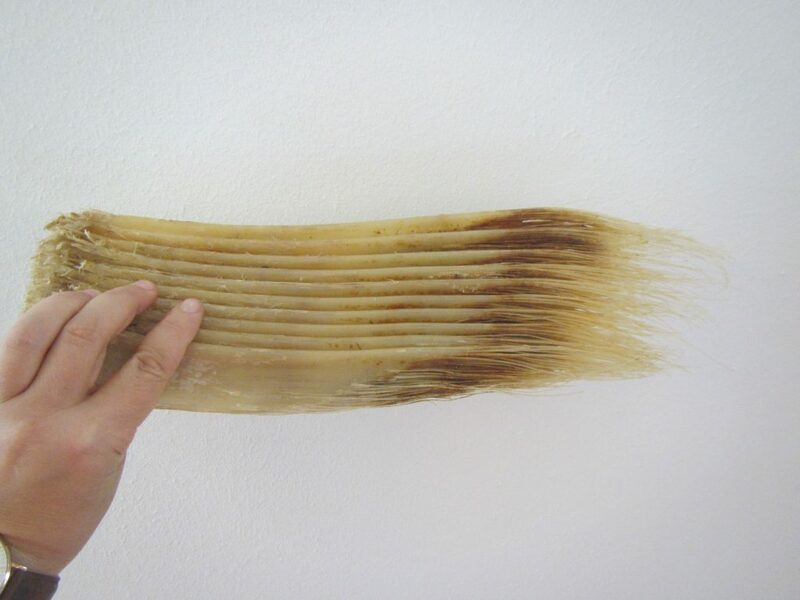 Also really cool: Those are baleens, those filters that whales use! Never touched them before. 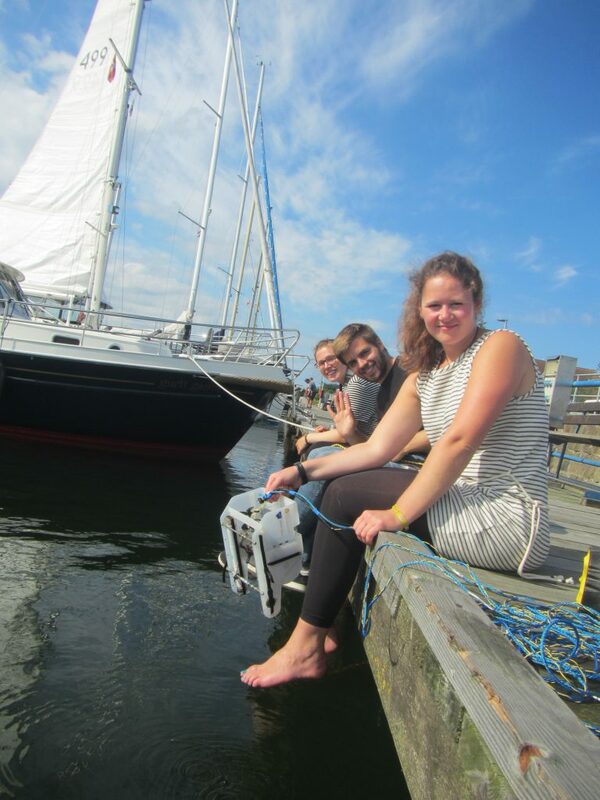 But we also got some time to enjoy the weather and play with our equipment: Those are Jeannine, Dennis and Johanna, who I had the pleasure to work with. It was great fun! 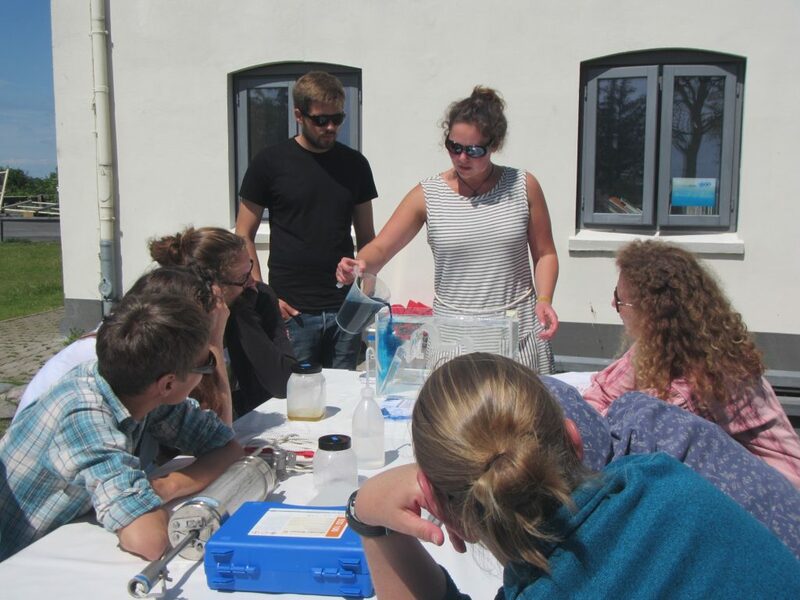 This entry was posted in energie:labor and tagged Baltic Sea, KiFo, Lotseninsel, melting ice cubes experiment, teacher training on July 8, 2017 by mglessmer. 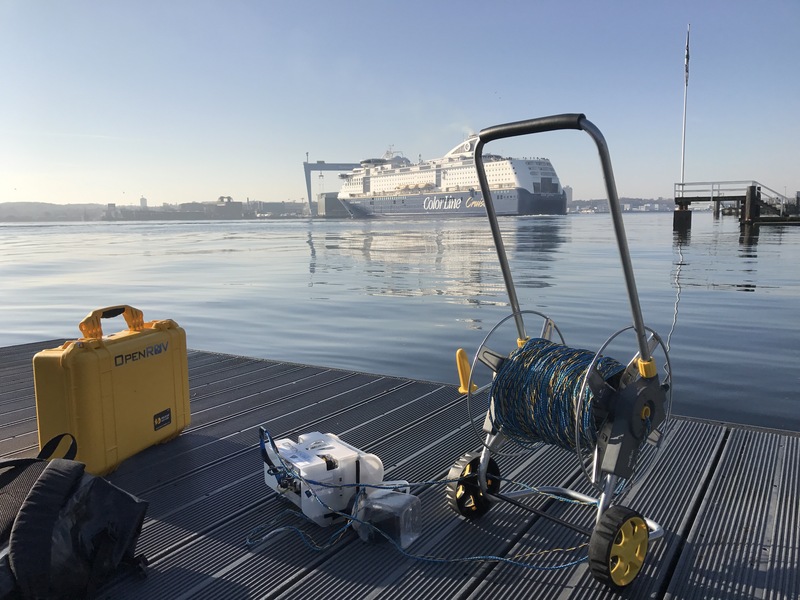 The KiFo owns a ROV that — until now — has never been fully operational. But since I like a challenge (and have a really skilled research assistant who really deserves all the credit) it’s working again! 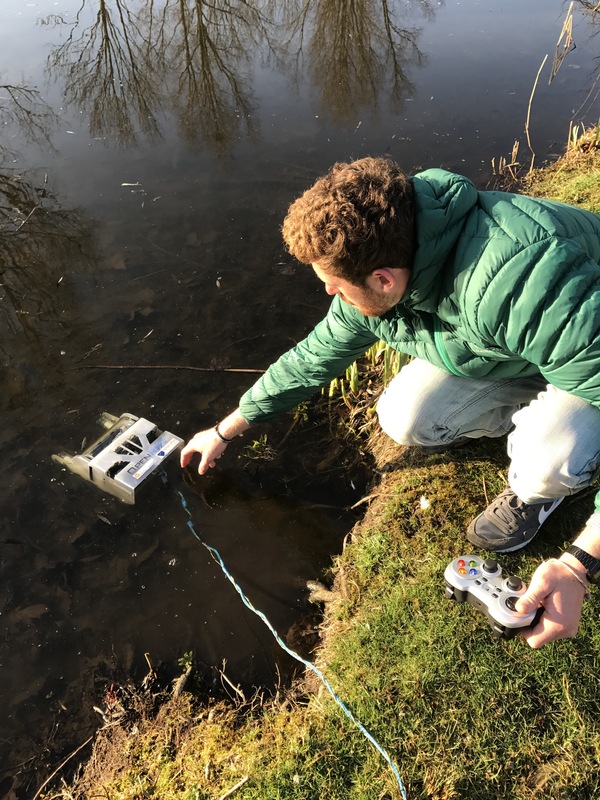 We first went to test it in a tiny lake on campus. This was exciting enough, since it seemed to have been leaking on previous attempts. 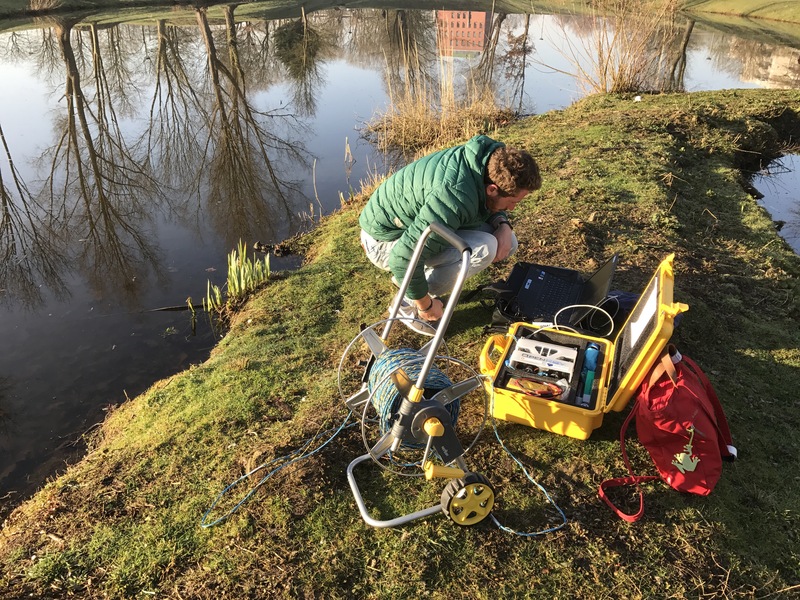 But this time round it did not, and the lake wasn’t deep enough to test whether it was actually water proof even at increasing pressure. 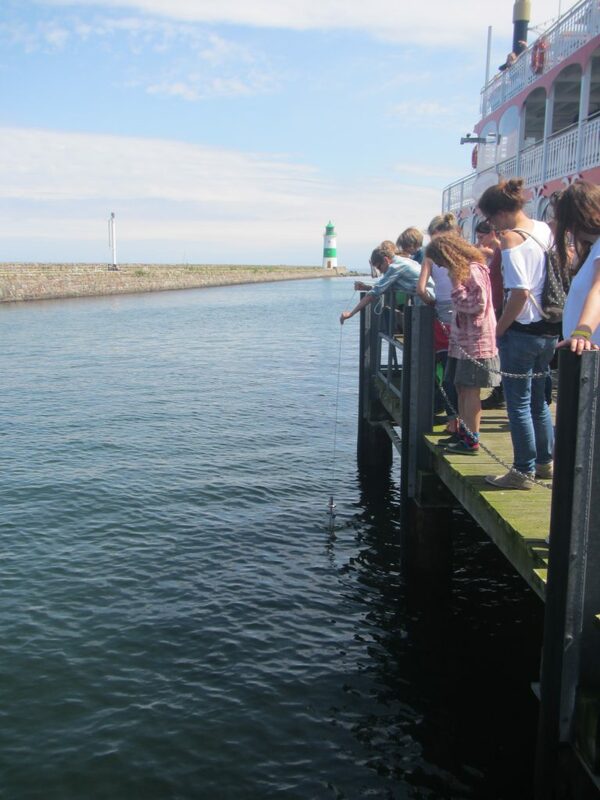 So off to the Kiel Fjord we went! Well, at least until the laptop battery died. But it’s a start! Thanks again for the great work, Nico!!! 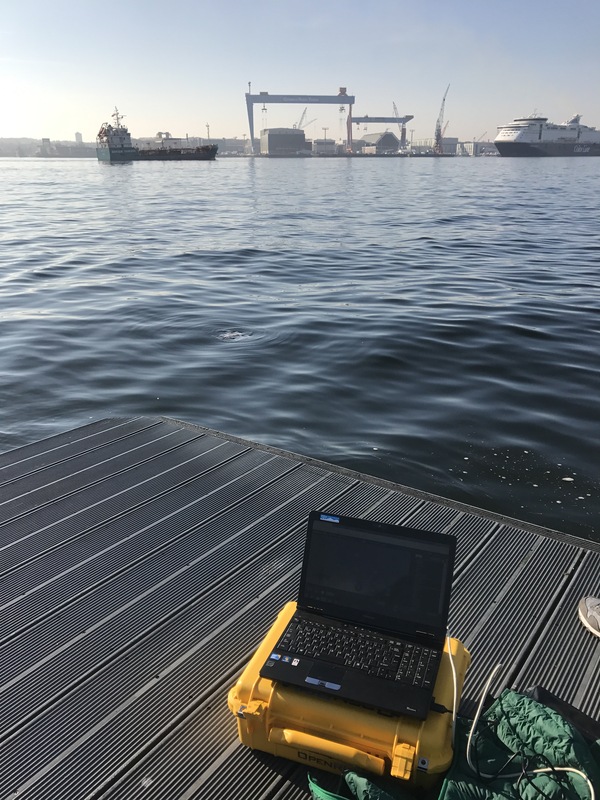 This entry was posted in energie:labor and tagged energie:labor, Kiel fjord, KiFo, OpenROV on May 2, 2017 by mglessmer.